Persistent self-criticism and shame are often central for our most chronic, interpersonally difficult, and stuck clients. These emotional responses have been shown to play an important role in a variety of psychological problems, including depression, post-traumatic stress disorder, borderline personality disorder, eating disorders, schizophrenia, substance addiction, and others. Self-criticism is a transdiagnostic process that, if targeted successfully, can improve outcomes across a range of mental health difficulties. Only recently have interventions for shame and self-criticism begun to receive scientific scrutiny and demonstrate evidence for their effectiveness. One such intervention is Acceptance and Commitment Therapy (ACT). This workshop will incorporate research from affective science that shows how shame and other social emotions are central in regulating our interpersonal interactions. Of all the social emotions, shame is probably the most powerful and painful. Shame can involve extremely painful feelings and thoughts of feeling broken, inferior, abnormal, disgusting, or irredeemably damaged. When we feel ashamed, we also feel disconnected from others and our sense of belongingness is ruptured. A central goal of the treatment of shame is to help clients move from a sense of isolation and separateness to a sense of connection and belonging. This functional evolutionary perspective on shame and social is used to inform how ACT is implemented to uniquely target problems of shame and chronic self-criticism. 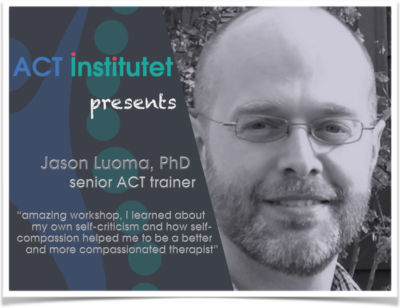 A particular focus of this workshop is on the ACT theory of self and its centrality in working with shame, self-criticism, and the development of self-compassion. The idea of the conceptualized self and conceptualized other will be used to organize how to use compassion-focused interventions within an ACT model. The workshop will move from theoretical, to experiential, to practical application, exploring how ideas such as self as context and flexible perspective taking can have very practical applications in helping clients develop newer and more flexible ways of relating to themselves based on values of self-compassion, kindness, and caring. Participants will have the opportunity to observe and experience a variety of defusion, acceptance, mindfulness, and perspective-taking interventions designed to target shame and self-criticism. Participants will also spend some time interacting with their own shame and self-criticism so as to gain a greater experiential understanding about how to work with these experiences. They will also engage in experiential practice in small groups using ACT processes as applied to shame and self-criticism. Guidance on how to sequence ACT interventions when specifically targeting these difficulties will be provided. Participants will also receive instruction on specific measures useful in identifying and tracking shame and self-criticism and guidance on how these measures can be used as therapeutic tools. Attendees can expect to walk away with an increased experiential and practical understanding of how to use acceptance, mindfulness, perspective-taking, and values interventions with clients suffering from chronic shame and self-criticism. 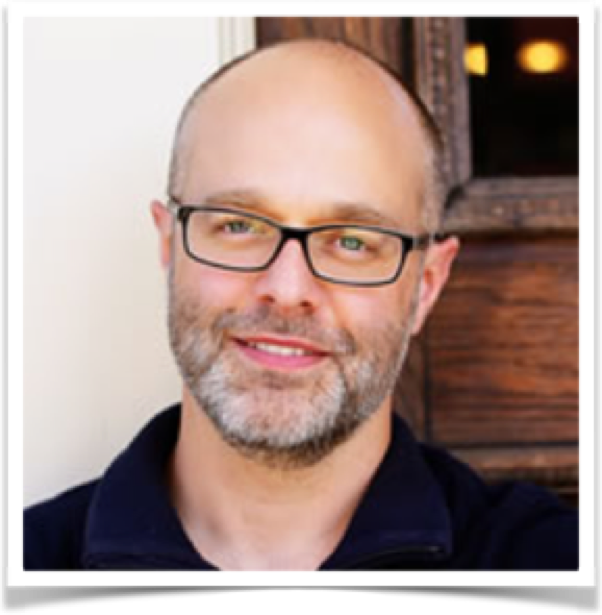 TRAINER*: Jason Luoma, Ph.D. is Director of Portland Psychotherapy Clinic, Research, and Training Center in Portland, OR where he also maintains a small clinical practice. Jason is an internationally recognized trainer in ACT, former chair of the ACT training committee, and past president of the Association for Contextual Behavioral Science. He is also an author of Learning Acceptance and Commitment Therapy, a book popular with professionals for its mixture of sophistication and accessibility. He has conducted research on interventions for shame and stigma for over a decade and recently published the first randomized trial of an ACT approach to shame in addiction at the Journal of Consulting and Clinical Psychology. His work on shame and compassion can be read at www.actwithcompassion.com. FOR WHOM: This workshop is for psychologists and psychotherapists. NOT INCLUDED: lunch. Organic and vegetarian lunch (with or without fish) can be ordered for 150 SEK. ACCOMMODATION: The venue is in a residential area of Gothenburg, by the woods and totally silent. IT can accommodate 6 guests (two in a loft and 4 to 6 in a big room). Acces to sauna and shower and several WC. There is a kitchen with all needed for breakfast (self-help and cleaning after). PRICE ACCOMODATION PER NIGHT: 650SEK, inclusive breakfast 700SEK and with light dinner 800SEK.